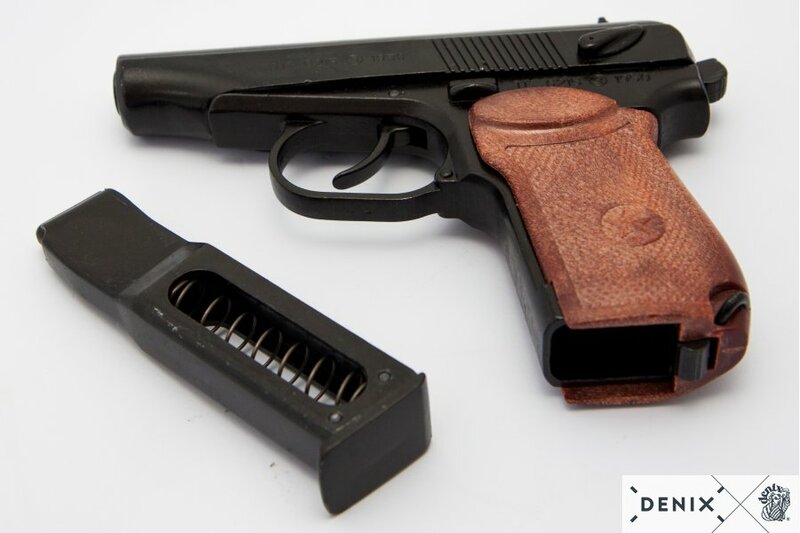 The Makarov pistol or PM (Russian: Пистолет Макарова, Pistolet Makarova, literally Makarov’s Pistol) is a Russian semi-automatic pistol. 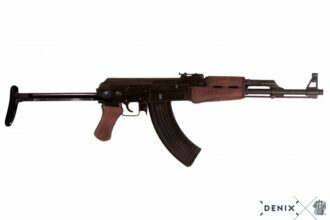 Under the project leadership of Nikolay Fyodorovich Makarov, it became the Soviet Union’s standard military and police side arm in 1951. 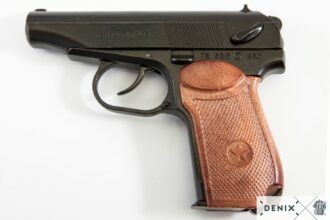 Makarov’s pistol, which was inspired from the German Walther PP, stood out from other designs through its sheer simplicity, excellent reliability, quick disassembly, and robustness. 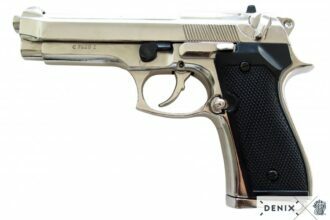 The PM is a medium-size, straight-blowback-action, all-steel construction, frame-fixed barrel handgun. 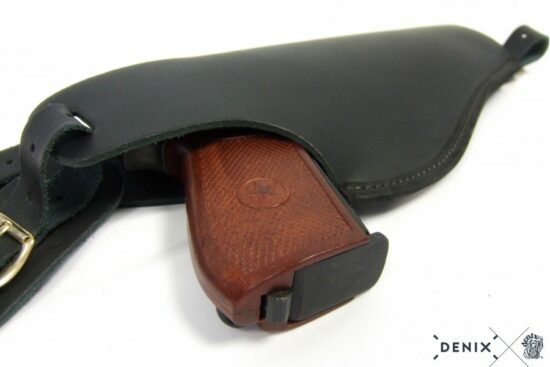 In blowback designs, the only force holding the slide closed is that of the recoil spring; upon firing, the barrel and slide do not have to unlock, as do locked-breech-design pistols. 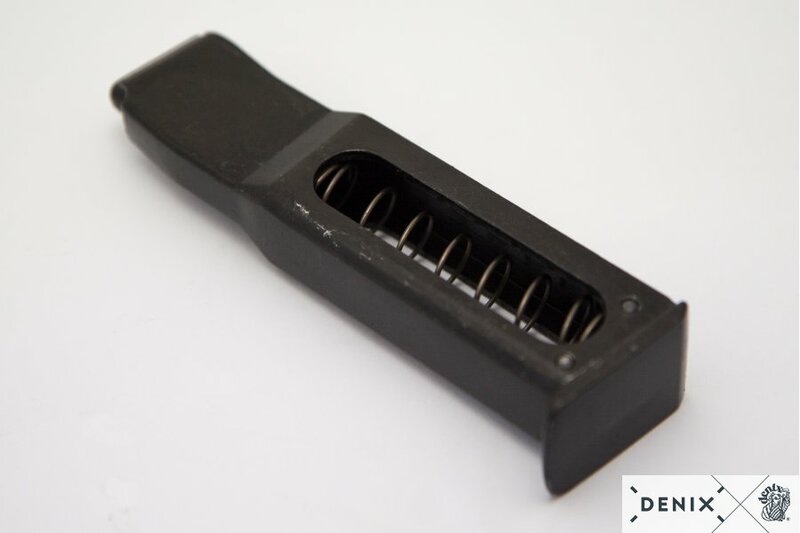 Blowback designs are simple and more accurate than designs using a recoiling, tilting, or articulated barrel, but they are limited practically by the weight of the slide. The 9×18mm cartridge is a practical cartridge in blowback-operated pistols; producing a respectable level of energy from a gun of moderate weight and size. 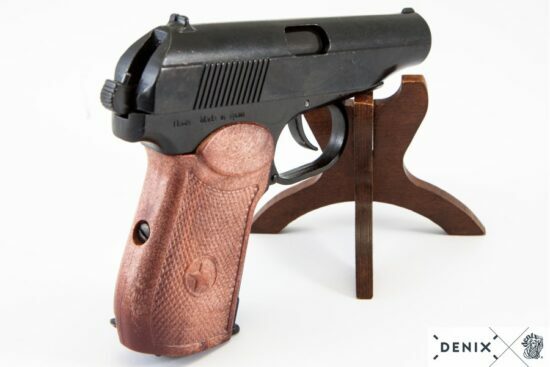 The PM is heavy for its size by modern US commercial handgun standards, largely because in a blowback pistol, the heavy slide provides greater inertia to delay opening of the breech until internal pressures have fallen to a safe level. Other, more powerful cartridges have been used in blowback pistol designs, but the Makarov is widely regarded as particularly well balanced in its design elements.